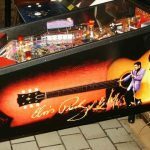 In the ELVIS® pinball machine Elvis sings, “See See Rider,” “Blue Suede Shoes,” “All Shook Up,” “Hound Dog,” “Jailhouse Rock,” “Heartbreak Hotel,” and “Burning Love.” Actual recordings are used from the famed “’68 Comeback” television special, as well as the “Aloha from Hawaii” television special. 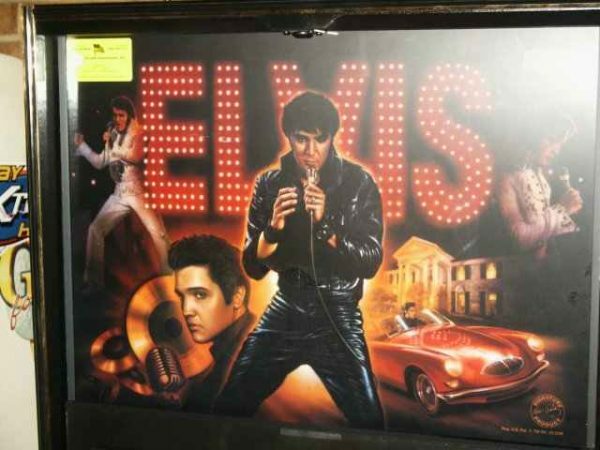 It’s actually Elvis singing! 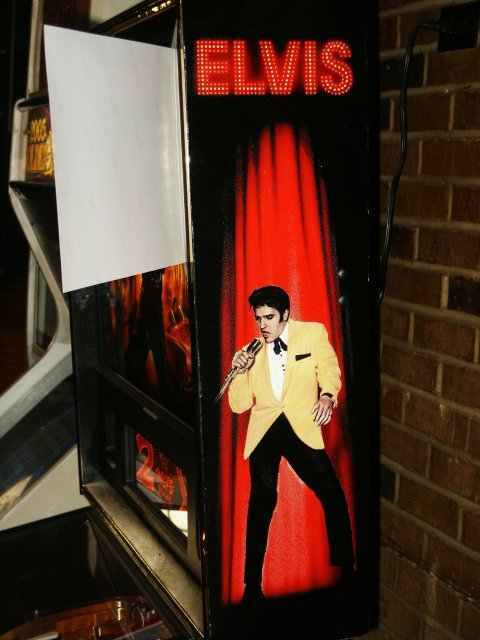 ELVIS® sings and dances! 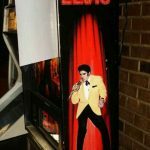 A mechanical Elvis with shaking hips and gesturing hands moves forward and back in perfect sync with real Elvis tunes, bringing the microphone to The King of Rock & Roll’s® lips every time he sings a phrase! 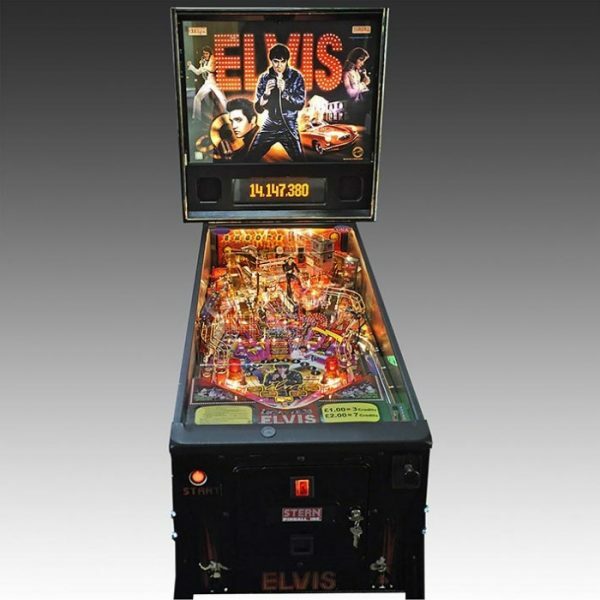 This incredible effect of Elvis dancing and singing is highlighted with re-mixed high-quality sound tracks that draw people into the game. 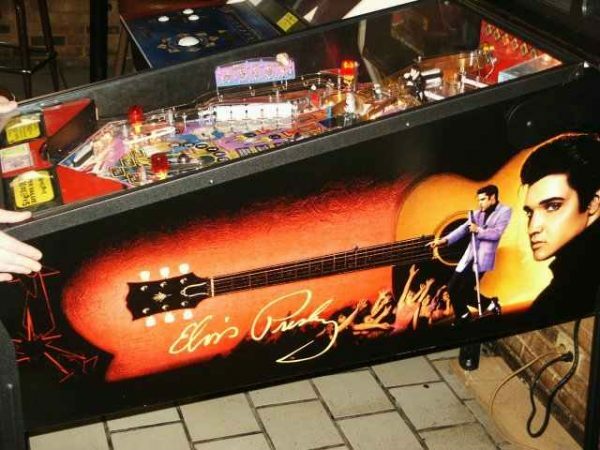 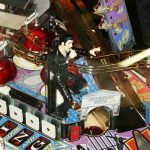 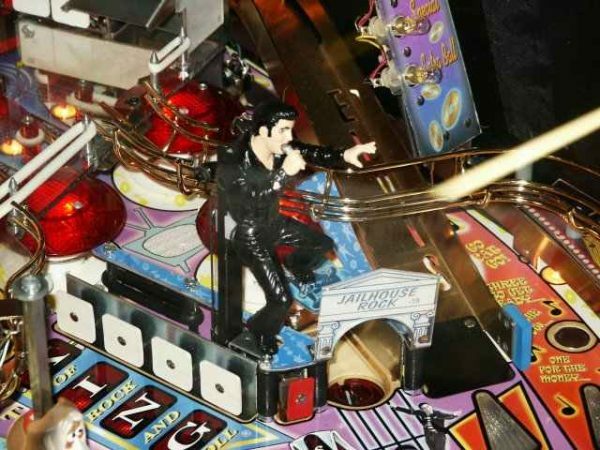 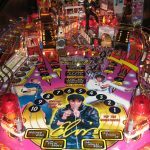 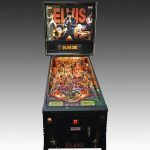 ELVIS® IS THE MOST MUSICAL PINBALL EVER CREATED! 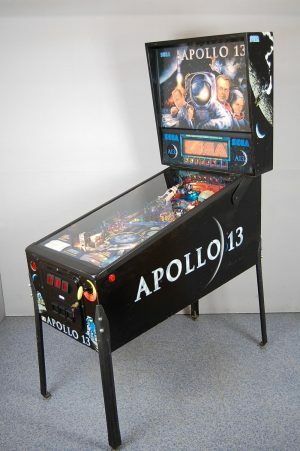 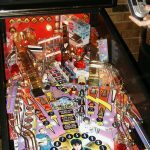 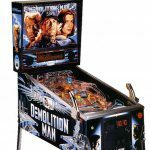 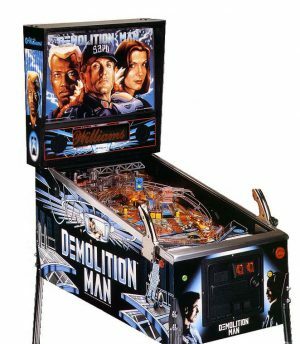 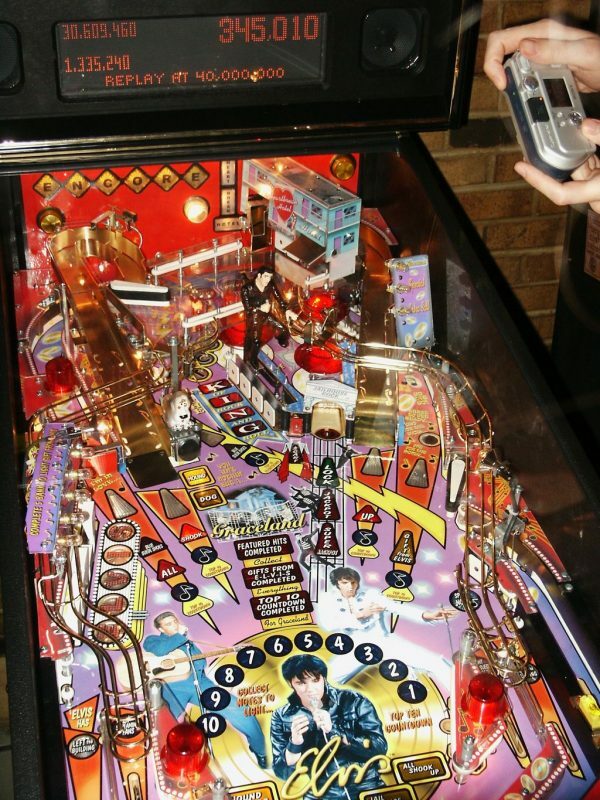 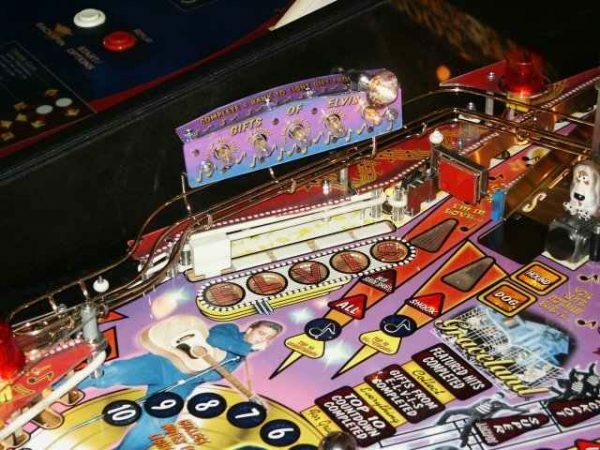 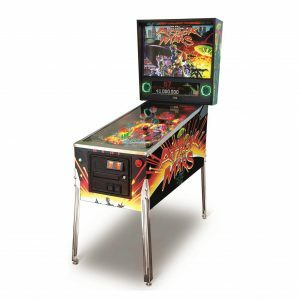 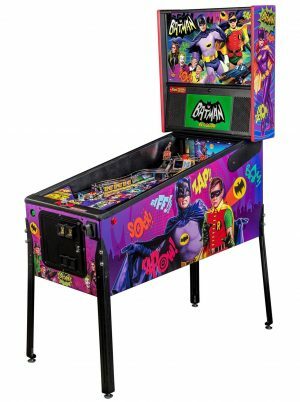 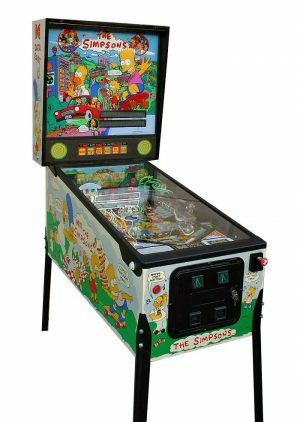 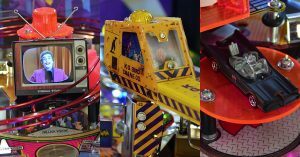 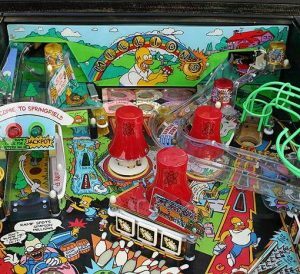 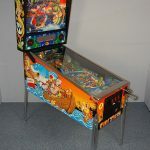 In addition to the mechanical Elvis, the mechanical-action toys on the pinball include: a jailhouse (Jailhouse Rock); a Hound Dog that the player sends up a pole when hit; a five bank of drop target; and a Heartbreak Hotel with an opening front door on a clear Lexan second-level playfield. 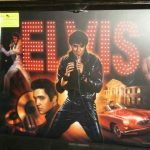 The object of ELVIS® is to collect Elvis songs, win the Top-Ten Countdown, and collect points by spelling out the name E-L-V-I-S. 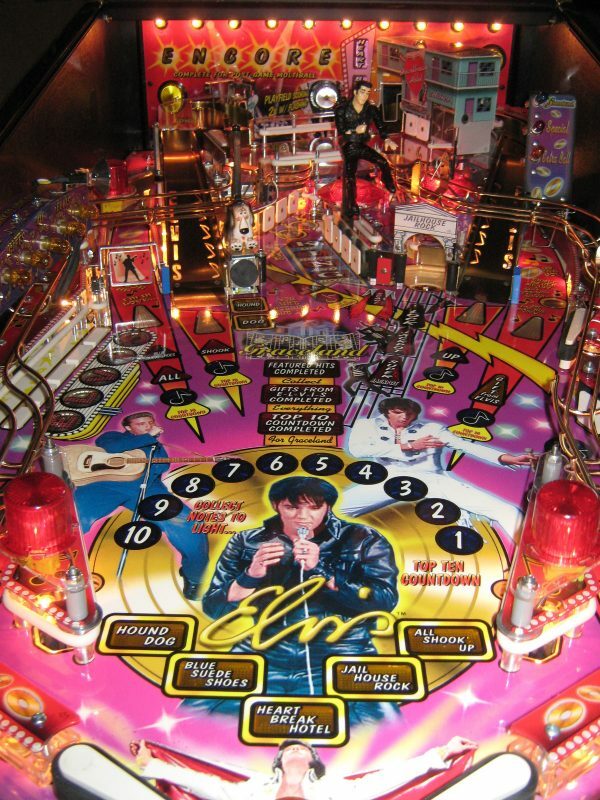 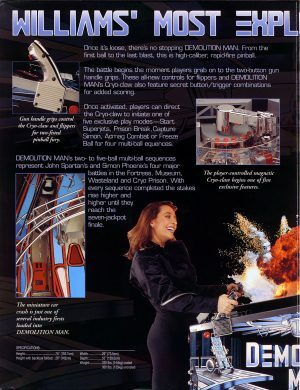 The player can then compete for the highest reward…a trip to Graceland. 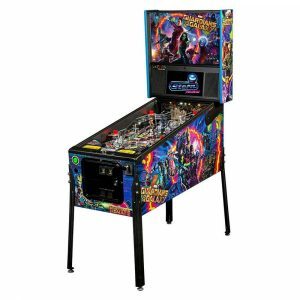 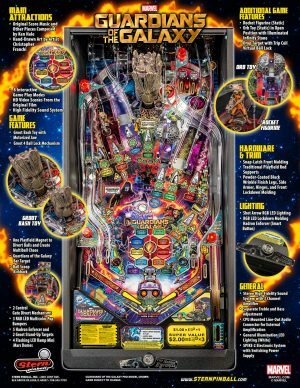 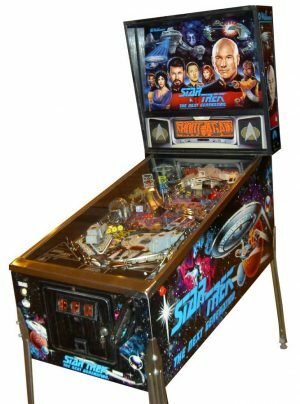 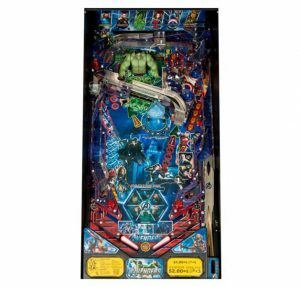 Texas Hold ‘Em poker deals the silver ball another great hand with WORLD POKER TOUR pinball from Stern Pinball. 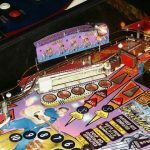 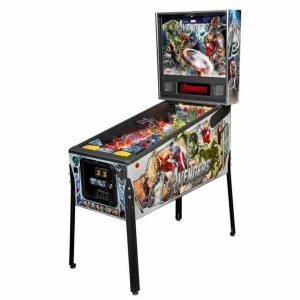 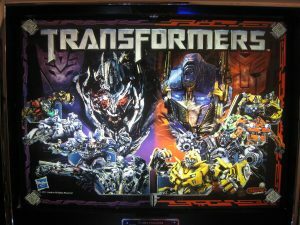 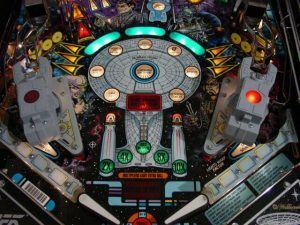 Based on the hit television series, WORLD POKER TOUR pinball brings new levels of excitement, challenge, and understandability for both the novice and the skilled player.